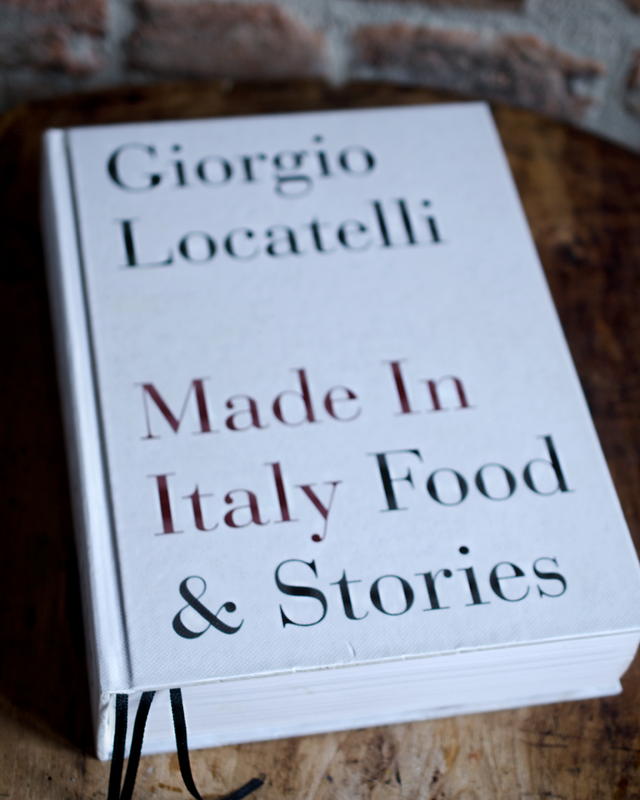 When it came to choosing a book, one instantly came to mind - Giorgio Locatelli's Made In Italy. I have made several gelato and sorbet recipes from this book and they have turned out perfectly. Besides being well written, there's also an excellent section that details the science of ice cream with many useful tips and tricks. 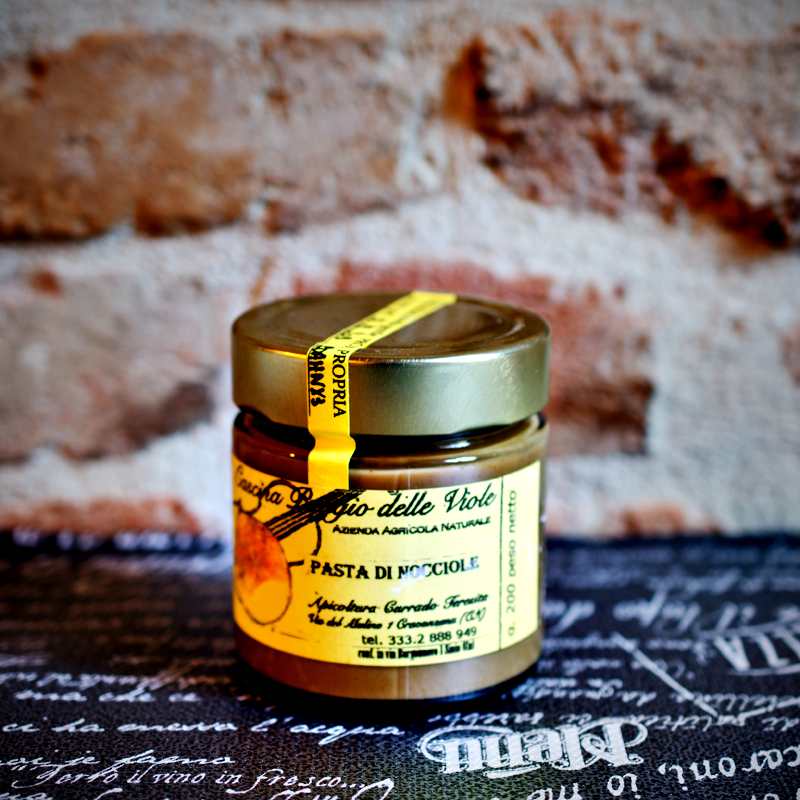 This pasta di nocciole (hazelnut paste) is produced by one of our local growers and only contains hazelnuts - there hasn't been any sugar added. 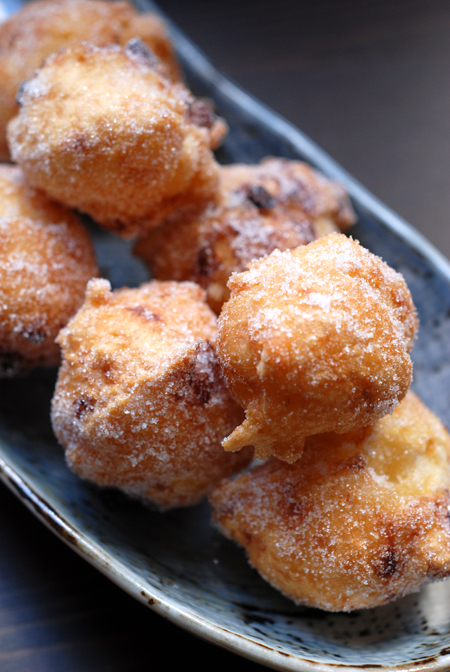 If you can't find hazelnut paste you can make it yourself in a food processor using equal quantities of roasted hazelnut and caster sugar). Place milk, milk powder, dextrose and water into a pan and stir. Put the pan on a medium heat and bring to 40C - it's important to keep stirring to ensure everything has dissolved. Once it reaches 40C - whisk in the caster and invert sugars, followed by the egg yolk and hazelnut paste. Bring the mixture gently up to 85C. Remove from the heat and cool as quickly as possible - I transferred the mix into a sealable glass container and placed it in an ice bath to hasten the cooling time. Keep stirring as the mixture will thicken slightly as it cools. If you taste it at this stage it is going to seem overly sweet but once frozen it won't taste as sweet. Once cold, seal the container and place in the fridge too chill for 6 to 12 hours. After this chilling time has elapsed, you can place the mixture into your ice-cream maker. I have one with an inbuilt compressor and it took about 45 minutes to reach the right consistency. As these appliances vary, always follow the advice of your particular model. 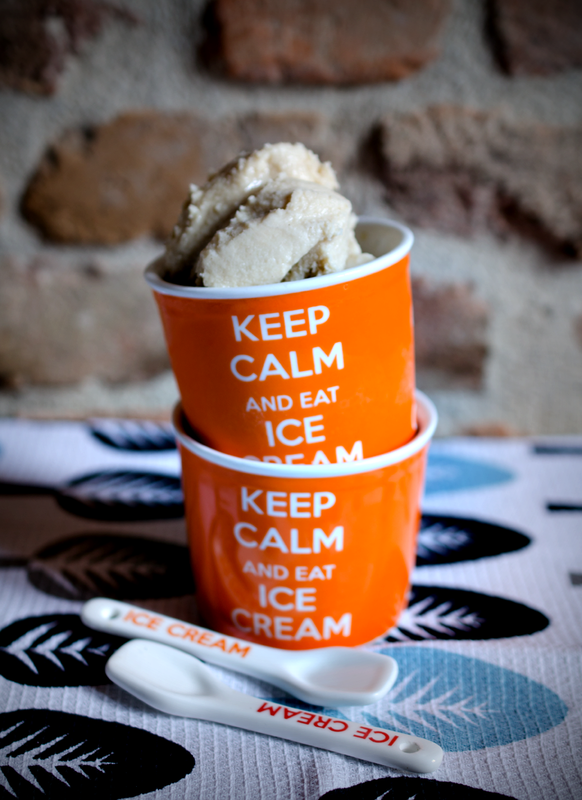 Once churned, place the ice-cream into a freezer safe container and let it rest in the freezer for at least three hours before serving. Ecco il mio contributo che invece è un bavarese. A presto!! 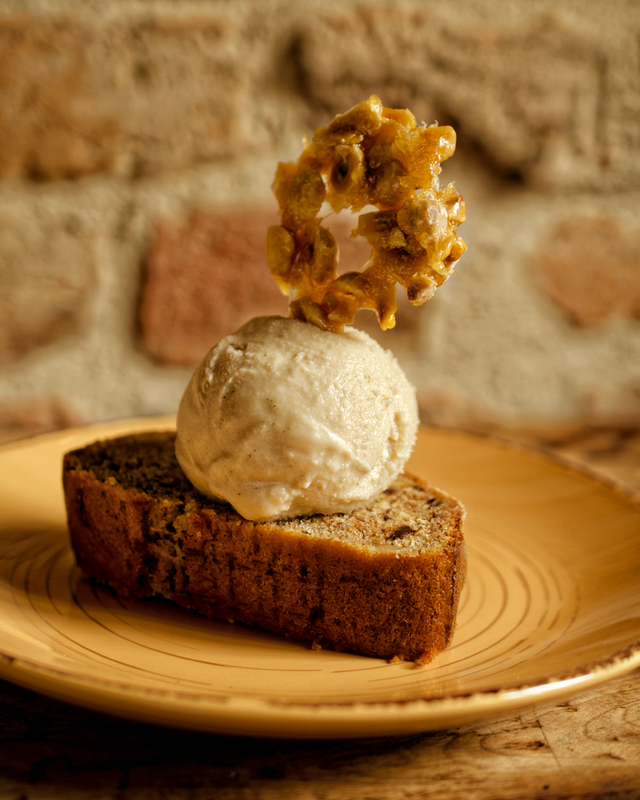 And I choose to make an ice cream for you as well, wirh pears, honey and robiola. Thanks Cinzia - he is a great chef and just love his book. I have to try your recipe!